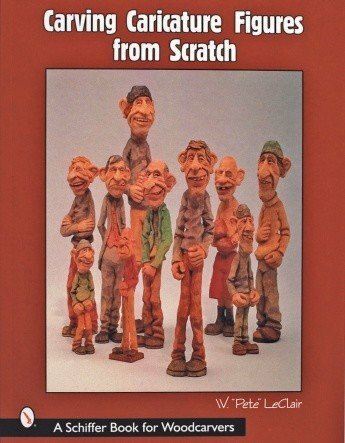 After the success of his book, Carving Caricature Heads & Faces*, Pete LeClair shares his insights into carving whole figure caricatures from scratch. 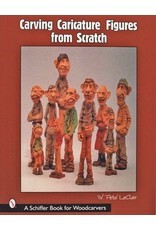 Heavily illustrated in color, the book starts with a simple block of bass wood, and goes all the way through the carving and painting of a figure. Each step is illustrated and a helpful caption directs the reader to carry out the project. A gallery of figures demonstrates the endless variations that are possible using this technique, and some of the interesting and delightful caricatures Pete has created.